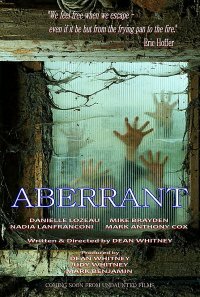 Your upcoming movie Aberrant - in a few words, what's it going to be about? It's basically about a young couple who encounter a female vampire while trying to escape the horrors of a worldwide pathogen that's turning people into flesh-eating abominations. What were your inspirations when dreaming up Aberrant? While discussing the success of zombie-related films and TV's The Walking Dead with another filmmaker a while back, I remember us agreeing on the fact that neither of us would ever consider doing a film in that sub-genre unless it contained a fresh twist. With my recently completed horror feature Ghostline in the can and another feature entitled Kill Me Once planned for September, I really had no interest in doing a short film in the interim. But then one night while en route to an audition for Kill Me Once, the idea for Aberrant hit me... and I've been running with it ever since. 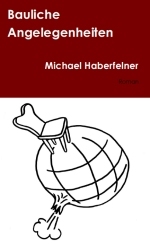 As we did with Ghostline, Aberrant will have its share of horror, suspense, and sudden shocks. Since it'd be difficult to make any kind of a zombie or vampire film without it, it'll also have some gore, but I definitely wouldn't call it "all-out gore". Just not my style. With flesh-eating zombies and a vampire on the menu, I suspect Aberrant to get bloody at least occasionally - so for the sake of the gorehounds among my readers, what can you tell us about that aspect of your movie? As mentioned above, it'll get bloody at times. With a relatively small cast and the story taking place in the country, there won't be hordes of zombies milling about, but the ones we encounter will certainly provide some thrills and chills. A few words about the intended look and feel of Aberrant? With the entire story taking place at night in semi-isolated locations, our intention is to make it dark and creepy. But we're going to light it in such a way that viewers will certainly be able to see what's going on. The couple (Leslie & Brad) will be played by Danielle Lozeau and Mike Brayden. Even though she's only in her early 20's, Danielle has starred in several horror films, including Black Water Vampire and the soon-to-be-released Misogynist. About a year ago, I was ready to cast her in a feature that was ultimately shelved. Although it's a very different character, I liked her right away for Leslie. Mike is a very talented local actor who's been winning awards left and right in the burgeoning San Diego film community. 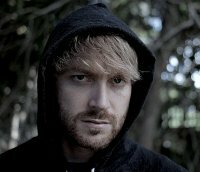 Having already cast him in Kill Me Once, Mike was the first actor that came to mind while writing Aberrant. Our vampire (Nicoleta) will be played by Italian actress/singer/songwriter Nadia Lanfranconi. Nadia was selected mainly because of her strong acting chops, but also because we loved her European accent. She's known for her performance in The Snow Queen and was recently cast in the big-budget feature Mesopotamia (Bill Oberst jr [Bill Oberst jr interview - click here] & Natalie Burn [Natalie Burn interview - click here]). Regarding crew, we've hired cinematographer Jesse Aragon, MUA/SFX artist Francia Cohen, sound mixer George Goen, and composer Steve Garbade, all of whom worked with us on and contributed greatly to Ghostline, and Mark Anthony Cox as our stunt coordinator. Mark is also playing a zombie in a key scene. As far as I know, Aberrant is still in its fundraising stages as we speak - so what can you tell us about your fundraising efforts? This is our first attempt at crowdfunding and the first week was very interesting to say the least. I had no idea that managing it would be so time consuming. But I'm not complaining. Being aware that money is very tight for most people these days, we sincerely appreciate ANY contribution that's made and are honored to have so many people believe in our project. Once the funds are raised, what's the schedule, and even if it might be waaay too early to ask, any idea when the film might be released onto the general public yet? 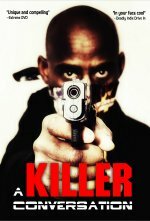 Our plan is to shoot the film April 2 - 4 and have it ready for viewing sometime in June. Any future projects beyond Aberrant you'd like to share? 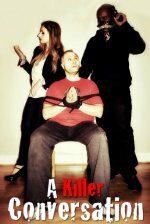 As mentioned above, we have a feature film (Kill Me Once) in pre-production and expect to begin principal photography in September. Kill Me Once is a supernatural thriller that stars Andrew Bongiorno and Rachel Alig. 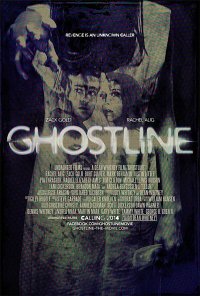 Beyond that, we hope to produce Ghostline II sometime in 2016. Oh, yeah... and there could be a sequel to Aberrant mixed in there somewhere. The short answer is that I got tired of waiting for someone to option one of my screenplays. Having read about how indie filmmakers were producing and directing their own projects, I decided to try my luck with it. I initially wanted to produce a feature film, but one day I came across a story in a filmmaking magazine that listed five legitimate reasons for producing a short before taking on a feature. Having had no formal training, I read a lot of books and did a lot of research on the internet before tackling my first project as a director, The Body Bag. What can you tell us about your filmwork prior to Aberrant? As mentioned above, The Body Bag was my directorial debut. Besides being awarded Best California Short Film 2012 by the California Film Awards, that film opened a lot of doors and enabled me to meet a bevy of very talented actors and filmmakers. Following that, I jumped directly into Ghostline. I'd also like to mention that while we were working on Ghostline, I optioned one of my screenplays (The Final Table) to a production company in Las Vegas. Patient and flexible, yet insistent at having my story told the way I want it to be told. That list would be way too long to print. But if I had to choose one, it would be Alfred Hitchcock. Having seen so many great films over my lifetime, it'd be virtually impossible to choose which ones are my absolute favorites. But here's a few that popped into my head: North By Northwest, The Godfather, Star Wars, Taken, and, in the horror genre, The Exorcist and the original Night of the Living Dead. Out of respect for other filmmakers, I won't list titles. But I deplore any film that leaves the viewers scratching their heads or asking "What just happened?" as they're leaving the theater. Okay, I'll give you one: Eraserhead. I just want to say "thank you very much" for doing this. Also, congratulations on your screenwriting debut with A Killer Conversation, which I plan on ordering from Amazon! Thank you ... and thanks for the interview!